Monday - Saturday, 5:30 p.m. – 10:30 p.m.
Sunday, 5:30 p.m. - 10 p.m.
Spago Special Events has built a reputation over the years as host for celebrated parties from 12 to 2,500. Please call Ana Alvarez at (310) 777-3711 to discuss your event needs. We will do everything possible to make your next entertaining experience a major success. 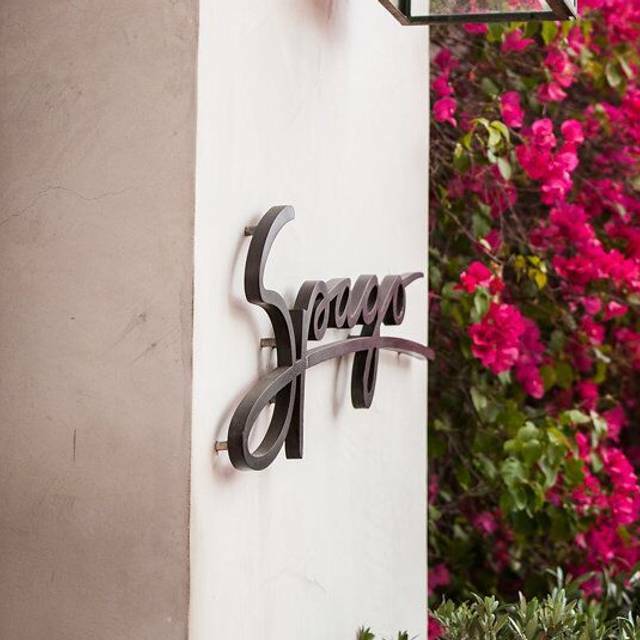 Spago Beverly Hills, Wolfgang Puck's legendary, flagship restaurant, continues to set the standard for cuisine, service and style, and is consistently recognized as the ultimate in fine dining. Spago presents a completely new menu and design. The master chef has re-invented the entire menu with his signature farm to table philosophy. 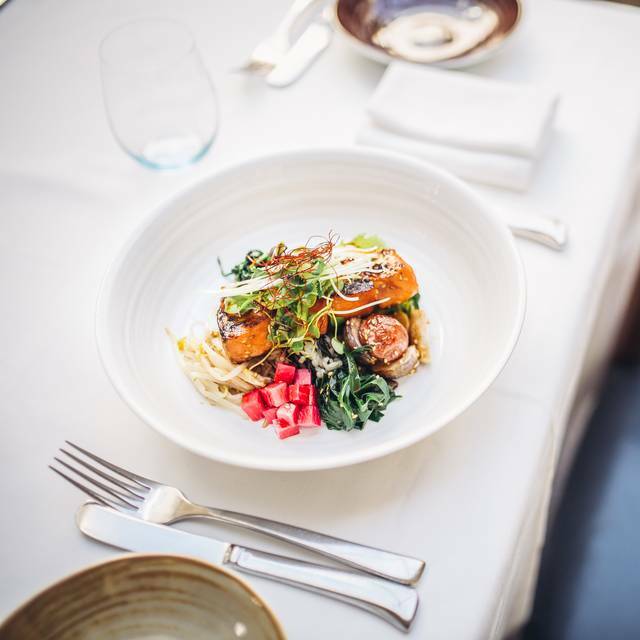 Puck, along with Managing Partner and James Beard Award-winning Executive Chef Lee Hefter, creates imaginative seasonal menus showcasing the best of California’s produce and products. Spago's new design from Waldo Fernandez complements the food with its clean and simple aesthetic, incorporating natural elements to add an organic feel. 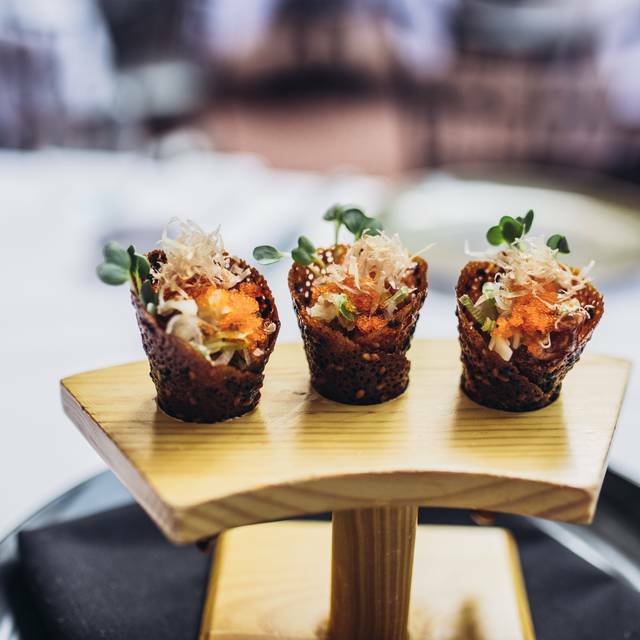 Spago is the recipient of the AAA Four Diamond Award and received two stars in The Michelin Guide-Los Angeles edition, one of only three restaurants in the city to win this coveted distinction. Sour Cream, Egg Yolk "Jam", Egg White "Caviar", Lemon-Crème Fraiche "Snow"
Grilled Prime "Cote de Boeuf"
*Consuming raw or undercooked foods may increase risk of food borne illness, especially if you have certain medical conditions. MOTHER'S DAY JAZZ BRUNCH...Show Mom some love by treating her to a 3-course Jazz Brunch at Spago Beverly Hills. Featuring vintage sounds and retro style of The Jennifer Keith Quintet. 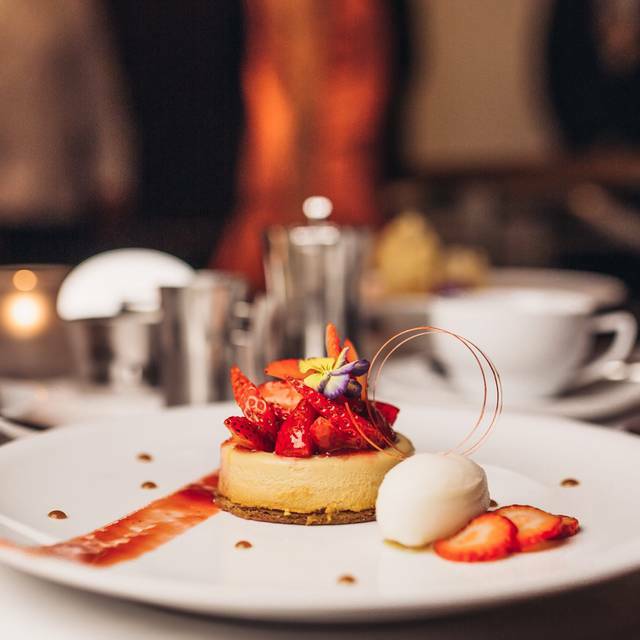 Included in your experience is dessert at our decadent pop-up "Gelato and Bake Shop." It keeps delivering, Wolfgang Puck was present making the rounds. As always Spago’s was amazing. The food was incredible and it was a very inviting atmosphere. I hate to go into any complaints but I have to- the service was just not the same as I remember- not everyone just a few small things that used to make Spago’s so special. The hostess did great us and was extremely nice- she made sure the reason we came - birthday- was acknowledged. Check. The person who took us to the table - very pleasant. The support staff for the waitress were Jonny on the Spot- bread, water, etc.. taken care of right away. 2nd “take note”- our waitress - while very nice and knowledgeable- barely looked us in the eye. Every time she came by, she was busy looking at her other tables. Didn’t feel like we were being paid attention to even when she was at our table. Not normally a huge thing for a regular restaurant but for the Spago Experience it really was a big deal. She wasn’t horrible - just not all there. Maybe we aren’t Hollywood people or well known- just normal Joe’s & Jane’s - but when you come to Spago- and pay a hefty amount for lunch- you expect amazing service - not just ok service. Again- she was very pleasant and made sure to come by often enough - but I didn’t feel like her attention was there. Last thing- the hostesses - while they greeted us- didn’t make any comment when we were leaving. Normally they do. Not one word- no “how was your lunch” no “have a nice day”, etc.. normally not a big deal but - Spago? Train your lunch staff better. I wish we had the waitress we have had before at dinner- I believe she is from Sweden? Maybe Switzerland..she is amazing! Wish we could have had her! Food etc as good as ever. Our table however set a new meaning for ‘Siberia’!! On the boarder not in the front roadside section and not in the main kitchen area we felt the full blast of air conditioning and were definitely in a cold position where we shivered. I don’t think restaurants like Spago should have such tables. Pity spoilt the night. 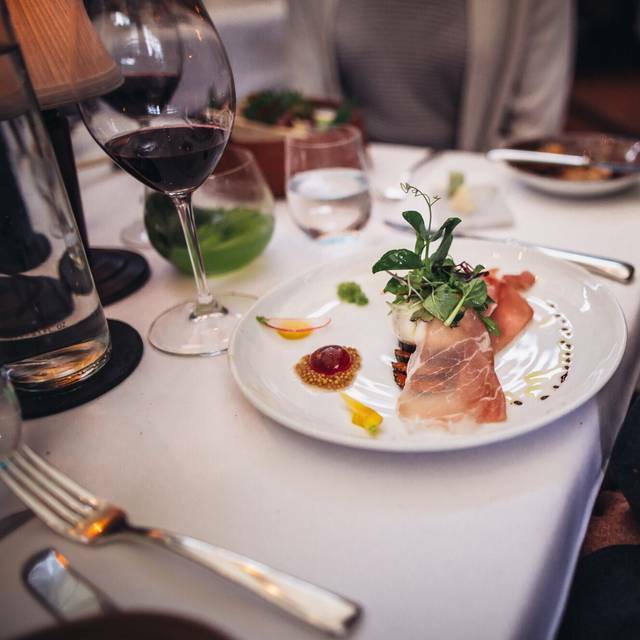 Spago has evolved over the years and is now the rarest of restaurants: a first-class dining experience, in a large restaurant, that appeals to a wide range of people and ages including seniors and families with children. In this respect it serves the function for LA that many great Michelin-starred restaurants do for their host cities in Europe. 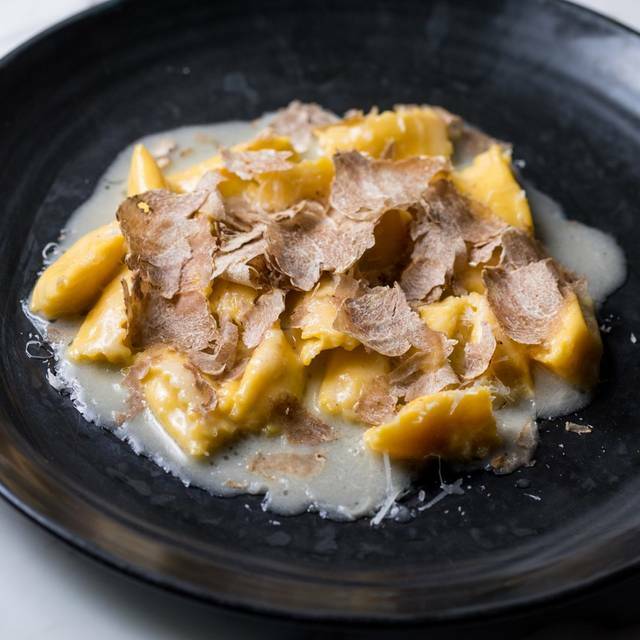 While some dishes worked better than others the agnolotti, the gnocci, the duck confit, and the desserts stood out. Food was delicious, staff was gracious. Thank you Petra for wonderful hospitality. Make sure to sit in Jason’s section. First trip to Beverly Hills. Slight delay in being seated at table and meal ran on longer than planned. Busy and noisy environment with most tables’ guests conversing loudly with one another. Ambience was however good though a little more light in this dark environment would assist in selecting choice from the small printed menus. Expected the higher prices here, however food was indeed excellent, as was service. Would certainly recommend to try here. The food was a bit eccentric. It appeared when they put the menu together they tried to top whatever was out there to set themselves apart. Sometimes, simple is best. Second, the service from the waiter was not good. He never checked on our food. One of the salads was not sent out write. It was missing pine nuts, some vegetables and cheese. When we informed the waiter he asked if he could bring out a side of pine nuts. Nor did he offer to take the salad off the bill or offer a free dessert. Not the level of service from Spago in Bev Hills. I will not be returning to this restaurant. Always a reliable, consistent, and outstanding combination of food, service and pizzazz, sometimes with the honor of chatting with Chef. Enjoyed the hospitality of Laurent and our outstanding server, William. We will always return!! Always a superior dining experience. The food is exceptional and the service outstanding. You are always made to feel at home and welcomed. It is a terrific place for a special celebration, date night, business meeting or just casual lunch. I have before and continue to highly recommend Spago as one of the very best in Los Angeles. Amazing experience that exceeded our expectations. The food, service and atmosphere were exceptional and the kindness of the staff made it an amazing night! Wonderful food, service, ambiance. Our favorite restaurant! Definitely one of the best restaurants in Southern California. Excellent service and great food. We had seafood and vegetarian dishes. Excellent taste and presentation. We also had salmon pizza, which was absolutely incredible. 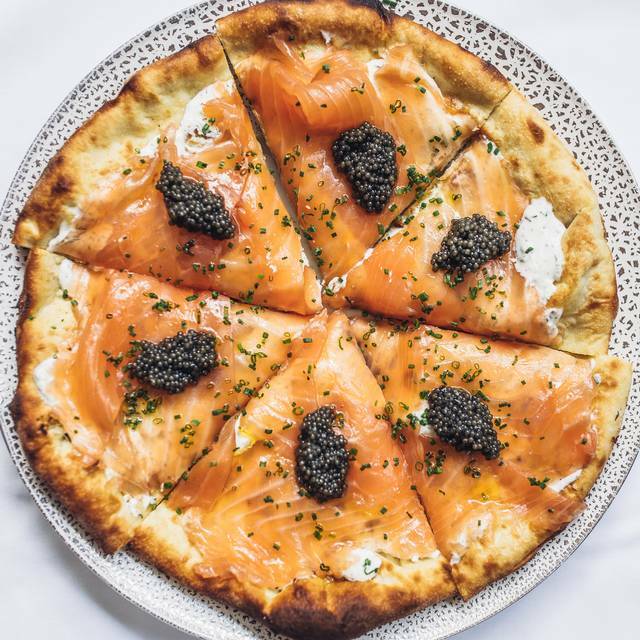 Delicately smoked salmon topped with caviar underlaid by herbed goat cheese and followed by crispy crust. Must have dish to share. Wine selection is excellent. We were in town and decided to come here for lunch. I had a Lemon Drop and my husband had an Old Fashion both were made to perfection. We had the pea pasta ravioli appetizer. It was so delicious. My husband had the veal schnitzel and I had the pan roasted chicken. Both were cooked to perfection and they were both exceptional. We will definitely be going back again the next time in town. The patio is very pleasant and beautiful . However the service is always snail paced. The menu span is decent but prices are a too high for lunch. Most restaurants in the neighborhood offer lunch specials and lunch menu that are in the $30 range. Spago does not but I cant help but feel that they are doing themselves a disservice! Spago never disappoints. It is the last bastion of elegant and refined dining in LA. It should be a World Heritage site. Visited for the first time on a busy Saturday. Our waiter was courteous, but the service was disorganized and not at all what you’d expect from a restaurant of this kind. The place was packed and very busy. We ordered cocktails and dinner, and waited long enough that our first course came out long before the drinks. The same thing happened with the rest of the food: a side dish was brought to us so long before the main course that our waiter at some point came and took it back to the kitchen, presumably to keep it warm, before bringing it out again later. The food itself was not bad but also not exceptional: our pasta dishes were good but lukewarm by the time they arrived and the main course (cote de boeuf) was adequate but hardly memorable. We didn’t stick around for dessert, to avoid further delays or disappointments. The situation felt very disorganized, as if they were short-staffed or overbooked. Regardless of the reason, the whole experience was a letdown and the place didn’t live up to the expectations set by its reputation and price range. All of the food was excellent. The service was very professional and friendly. Would recommend it for special occasions. I have dined in most all of the top restaurants in LA and have never even written a review previously. This was quite simply the best meal / service I have ever had in Los Angeles. The three of us had nine different courses between us and they were all as good as each other. Servers were attentive but also discreet. No rushing anyone. Can't wait for our follow up visit! 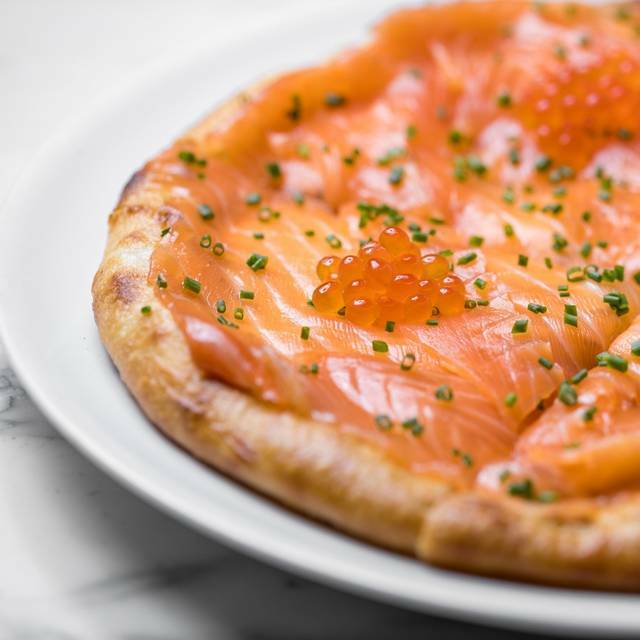 is fantastic and who can resist the smoked salmon pizza. Bravo Wolfgang! Fresh cutting edge food fit for the fine palate. Excellent wine list and great service. Perfect dining experience! From food, presentation, service & decor - TOP NOTCH! This restaurant has it all! What a delight from the warm welcome, our fantastic server Travis and the delicious dinner! Thank you for such a special evening! I am an identical twin, so I took my brother and I out for dinner at Spago for our birthday. We had the tasting menu, which was spectacular except for one dish, and I fully admit that while I didn't like it, that is solely due to my personal taste, not to the excellence of the dish (it was octopus), which was, according to my brother, the best piece of octopus he'd ever had. I had never had it before, and didn't like it, but can say it was cooked perfectly. I just wasn't into it. Everything else was spectacular. The plating was beautiful. The five-course amuse bouche was wonderful, with the fifth piece being served as they toured the two of us through the kitchen, which was both very cool and well timed. Seeing all that food being made makes you hungry, so they give you your last little intro-bite while there (it was phenomenal). I've eaten at plenty of Michelin starred places, and this place ranks at least a star, even though Michilen hasn't been to LA for years so it doesn't actually have any right now. I hear they're coming, so I'm interested to see what Spago gets. First class service and top shelf food. 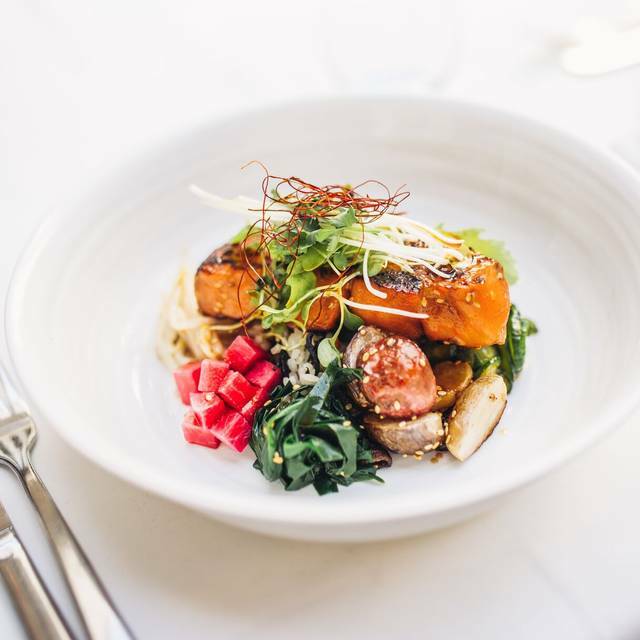 Chef Wolfgang Puck has a menu that will make your mouth dance with excitement. I had the veal chop of generous proportions that I was able to share with the entire table for all to enjoy. The cod was cooked to perfection and flavors jumped off the plate with a perfect balance of pure culinary awesomeness. Can’t say enough great things about Spago other than a MUST TRY for all! The food and service were delightful, as always. Did seem noisier than on other occasions. A bit hard to talk. Seems to depend on wher you’re seated. Still a top choice in its fourth decade. Those servers make you feel as if every other service at every other restaurant as been doing it wrong! Loved this place. Beautiful meal, excellent service, not rushed! Love this restaurant. Great birthday celebration! Very niçe restaurant , the food as very good but very expensive. The service sas very good . But I did not like that I had to pay for a bottle of still water without warning. Outstanding on every level. One is attended to the moment one walks in the door all the way to the valet when leaving. Every aspect of the food and drink is perfect - down to the large ice cube in your cocktail and the separated grated egg in the Lobster Salad. It is not at all inexpensive because one is paying for incredible, well-crafted food presented in an amazing setting. Splurge on yourself and enjoy life. It's worth it. The quality of the food we were served was AWFUL!! I had what was labeled a New York strip steak served cut up into seven pieces with all of the edges charred beyond well done. It tasted suspiciously like a cheap piece of skirt steak. I felt badly cheated. My wife ordered a chicken dish which she said was tasteless. The service and atmosphere were nice and up to standard, but the food should have been left in the kitchen if they were going to use such poor quality. Shame on the Wolfgang Puck empire. Superlative food, really world class. Both food and cocktails were superb. We highly recommend. Specially the house cured smoked salmon pizza and the cocktail with fresh raspberry juice. Fabulous food & service. Highly recommend! Our waiter, Petra, was outstanding. The sommelier picked just the right wine for us. My wife had the veal chop… It was the finest one she has had to date . I had the snake River Farms Wagyu New York strip... it was a perfect steak! We shared the gnocchi, it was wonderful.